Curly hair, though packed with life and personality, gets a little quiet when the proposal of styling in intricate updos, perky ponytails, and elaborate braids comes up. Getting our curls to behave regularly is usually the goal, but these easy and cute hairstyles for curly hair have convinced us to get a little more creative. Get your wildest waves, springiest curls, and bounciest coils ready—because they're no longer stuck in no-styling purgatory. You can master these cute curly hairstyles in just a handful steps and with just a few bobby pins and hair ties. Your natural curls can take even the most basic style, like a topknot or messy bun, and revamp it with their volume, texture, and thickness. They hold up styles better than most hairsprays and master the ‘undone done’ look with their wily tendrils. Whether you're going for a formal or casual look, these curly-girl hairstyles are sure to impress. Here are 25 easy hairstyles for curly hair that will turn your most uninspired hair days into perfectly coiffed ones. This topknot lets your springy curls add some major personality to your easiest updo yet. Traceless hair rings, like these, help keep the bun secure, yet messy. Let some tendrils tumble out to complete the look. This style involves French braiding both sides over a pulled-back secured low mohawk-style ponytail, then wrapping it under and securing for the finished cinched look. Get the tutorial here at Seventeen. This style goes from day to night in a pinch with its easy, elegant French braid and wrapped low ponytail that won’t fall out at every turn. 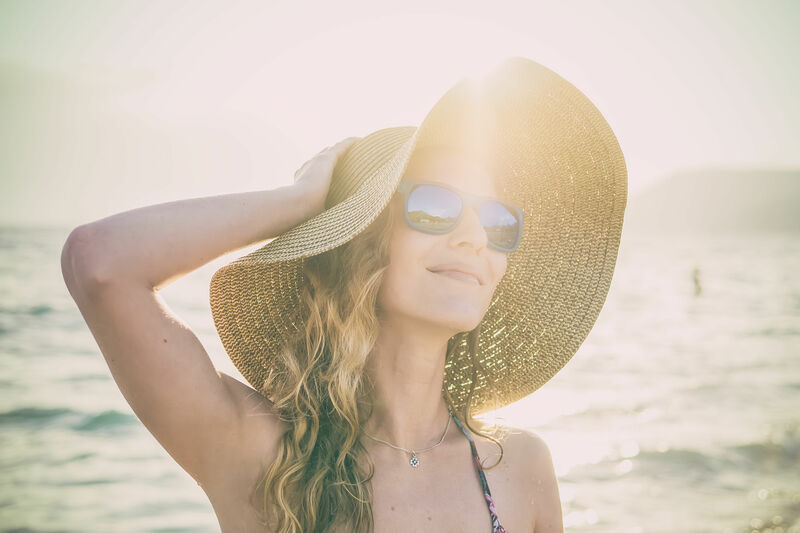 If you think there’s not much to do with short curly hair, you’re missing out on the world of hair accessories—with the exception of the half bun hairstyle. This simple twisted bun lets you keep your short hair out of your face without any fuss. 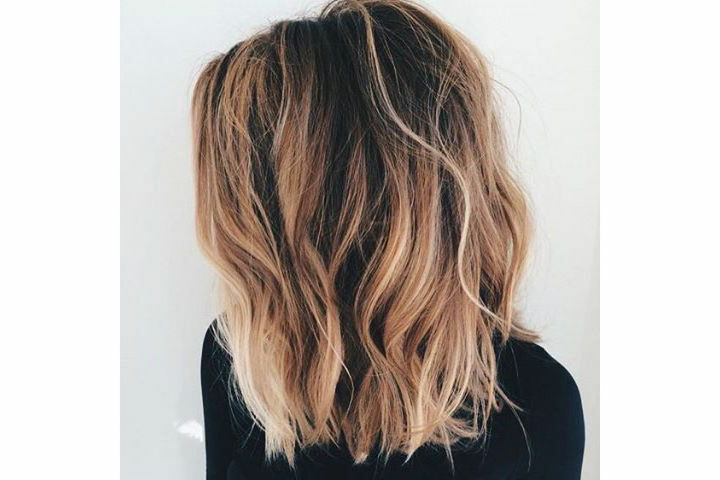 For ladies with long, curly hair, this half lob lets you walk on the more tame side (in term of curls) by shortening your locks into an elegant lob-length style. Letting the hair rest all on one side gives it a little Old Hollywood glamour. Get the tutorial here at Refinery29. Ultra-high, sleek ponytails and low messy ponytails have been trending lately, but this reliable mid-range ponytail works on curly-haired girls more than anyone else. The volume and body from the curls give some much-needed personality to the look. This style looks fit for a princess—Elsa from Frozen, perhaps? One of the best things about curly hair is that you can do some fun, simple things to it, secure with a bobby pin, and revel in how deceivingly intricate it looks. This style takes only seconds to do. Get the tutorial here at Hair Romance. You only need a few bobby pins and minutes to create this romantic twisted braid look. It gives a finishing touch to natural curls that works for any occasion. Get the tutorial here at Girl Loves Glam. Gather your curls into a high, sleek pony and secure with a metallic bun cuff. We love this beautiful bun cuff here from Chloe + Isabel. Get the full tutorial here at DevaCurl. 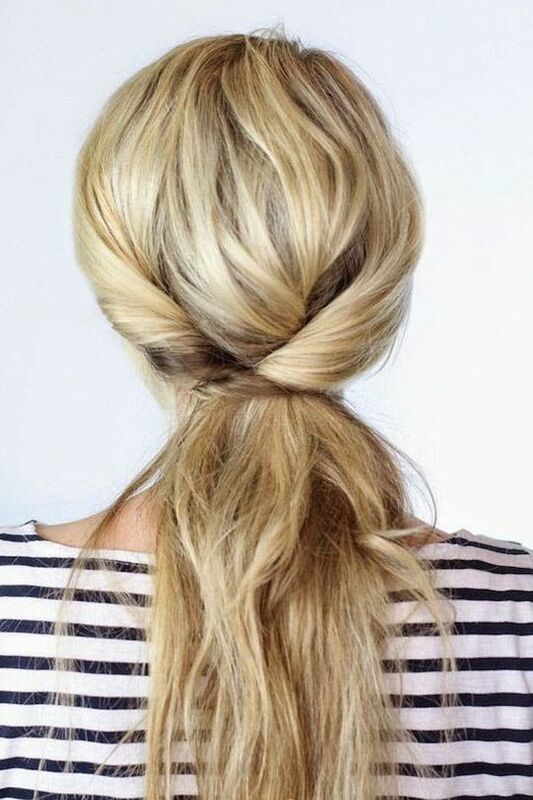 This fun updo is incredibly easy and starts with three ponytails stack on top of each other. A few folds and pins later, and voila! Get the tutorial here at Hair Romance. Do you know what this would look like on straight hair? Floppy. This adorable bow bun is made for curly-haired ladies, so don’t miss out on this fun hairstyle! Get the tutorial here at Mr. Kate. This high, volume-packed updo lets you artfully fold sections of your naturally curly hair into the perfect easy hairstyle for all occasions. It keeps your hair up and away to show off that pretty face! Get the tutorial here at Once Wed.
We love the daintiness of thin velvet ribbons, whether used in a French braid like this or in a quick half-up style. They add a simple finishing touch that makes you look put-together even if it’s masking a lot of dry shampoo! A stacked bob works great with curly hair, but on days when you want to change things up or keep hair out of your eyes, braiding is the easiest way to go. These French braids are loose and only bring in hair from the side closest to the face, as opposed from both sides of the braid. Pin them underneath the hair to keep them secure and invisible. Tame your ringlets with a tight French braid headband that lets you frame your face, while keeping your wild curls free to roam. This easy hairstyle uses a few bobby pins to secure three different sections, starting with the voluminous top sections (that gives the pompadour look), the middle section (flanked with tight twists on the sides), and the bottom curls. Get the tutorial here. This simple twisted bang look gives your naturally curly locks a little sassy boost! You simply wrap the section around your finger and pin them underneath. Get the tutorial here. If you want to feign short hair without stepping towards the shears, this faux bob is your best bet. This look works well for those with layers, especially shorter layers. Get the tutorial here at Refinery29. For this cute everyday look, separate hair into three sections and create three buns. By tying them close together, you'll get the illusion of one, more intricate updo. Upside down braids never cease to amaze us, and if you can master the skill, you’ll have a great way to ramp up any bun or ponytail. Get a tutorial here at Missy Sue. Accessorizing your coils with creatively placed bobby pins lets you grab major style points without much effort! Spice up your regular curls by taking a small section of hair behind your bangs and fishtail braiding it. Swoop and pin the braid to the back of the head, and repeat on other side if desired. Transform your topknot or pineapple with a colorful silky scarf for instant style and sass. Pair it with second-day hair and a neutral outfit to make a statement in seconds. This look is seen on wavy hair here, but the volume of curly hair works amazingly when creating big, bold braids that you cinch at the nape of the neck. Check out the tutorial here. Get this updo done in a few minutes and be ready to take on any occasion with style. This faux-hawk lets your curly hair texture keep it voluminous and secure. Get the tutorial here at A Lacey Perspective.